Welcome back to You Should Be Watching, where I recommend movies and TV series that I think deserve more attention. This week we’ll be moonlighting with the Caped Crusader himself, in the animated series spin-off Batman: Mask of the Phantasm. Like Paprika, this is another film that seems pretty well liked among film buffs, but I never meet anyone in person who has seen it. It was a huge disappointment at the box office at the time of release, though the reviews were mainly positive. Personally, it’s tied with Batman (1989) as my favorite Batman movie. Mask of the Phantasm has a complex story that it manages to make simple with smart editing and great dialogue. It takes place in two different timelines: in the present, Batman is framed for a series of murders of mob bosses, in reality perpetrated by a mysterious new villain called the Phantasm. The other takes place as a young Bruce Wayne becomes Batman, falls in love, and considers leaving his vigilante promise behind. It goes without saying that the voice cast is perfect all around, and I mean perfect. The DC animated movies and TV series were always brilliant in their casting choices and Batman: Mask of the Phantasm is no exception. Of course, Kevin Conroy and Mark Hamill return as Batman and the Joker, along with Efrem Zimbalist Jr. as Alfred and Robert Hastings as Commissioner Gordon. Newcomers include greats like Abe Vigoda and Stacy Keach. The musical score by Shirley Walker is also exemplary, and reminiscent of Danny Elfman’s work for the Tim Burton Batman movies. The end credits feature the song “I Never Even Told You,” performed by Tia Carrere, who would go on to star in True Lies and Lilo and Stitch. It’s a pretty song, but not a terribly memorable one. Most of the film’s technical aspects are holdovers from the animated series, and sadly that includes the animation. If there’s one obvious flaw with Batman: Mask of the Phantasm, the animation is surely it. I love the animation style of Batman: The Animated Series; it’s original, interesting and highly stylized. That being said, it’s not on par with the animated features that populated the cinema even in 1993, and unfortunately, they didn’t really improve the quality for this theatrical release. The frames are fuzzy at times, and it’s particularly noticeable when paused. The designs themselves are great; it just feels like they could have brightened up the colors and improved the grain for the cinema. The film already had a bad marketing campaign working against it, and the fact that the animation isn’t particularly impressive probably didn’t help it much. To make matters worse, people are less likely to take animation seriously in the first place and, as a result, many likely wrote Phantasm off as being for kids. I’d argue that it’s more mature and intelligent than most of Batman’s live-action outings, personally. 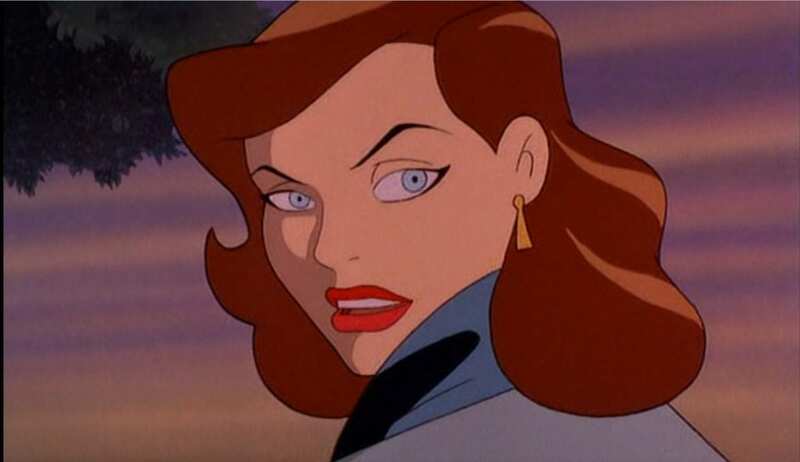 I also have one more nitpick with Batman: Mask of the Phantasm, and it’s Andrea Beaumont, Bruce’s love interest. Overall, the drama and storyline in the film flow seamlessly, but the relationship between Bruce and Andrea is at the heart of it. For this to be completely satisfying, we need to be invested in their romance and want them to succeed and be happy. The tragedy therein is very effective at giving us the emotional gut punch, but I only ever find myself sympathizing with Bruce. I don’t find Andrea very likable at all. Her jokes just come off as annoying and rude; she’s a show-off and, ultimately, very self-righteous. I don’t blame Dana Delany, Andrea’s actress, for this; she went on to voice Lois Lane and some minor characters in future DC projects and her acting was always pretty good. The concept of the film is brilliant and, for the most part, it works great, or else I wouldn’t be recommending it. But I have to be honest in saying that Andrea is my least favorite thing about it when she should be one of its main assets. The dialogue in Batman: Mask of the Phantasm is nothing short of brilliant. I have never laughed so much at the Joker, not even in the animated series. He gets several one-liners that kill me every time, no matter how many times I have seen the film. The banter between Bruce and Andrea is quick and witty, even if it makes her unlikable at times, as I mentioned. Alfred also gets a lot of great lines, both comedic and poignant. Batman: Mask of the Phantasm also excels at suspense. I was genuinely shocked by the ending the first time I saw it, and I think you will be too. The Phantasm is a fantastic adversary for the Dark Knight, his equal in both mystery and capability. The climactic tussle between these two and the Joker is one of the best I’ve seen. In fact, Phantasm has several great action sequences, including one inspired by the famous bike scene in Akira. Another thing I love about this film is how it uses its runtime. Like most – if not all – of the DC animated universe movies, Batman: Mask of the Phantasm runs a short 76 minutes. However, this film is absolutely packed with story. As I mentioned, we have two stories being told simultaneously, and the one in the present time is huge. There’s more at stake than just Batman and the two villains; this movie involves the Mafia, the police, old associates of Andrea’s father’s and more. The best movies are capable of taking complicated plot elements and making it all seem simple to the viewer. Mask of the Phantasm does all that in less than 90 minutes. Batman: Mask of the Phantasm isn’t just one of my favorite Batman movies; it’s one of my favorite movies, period. It literally has it all: action, romance, witty dialogue, humor, drama and a great cast of characters. It has an intricate plot full of twists and turns, but it all feels so organic that you don’t even notice. I have issues with the TV-quality animation and Andrea’s personality, but overall this is an amazing movie with something for everyone. The dynamite cast, brilliant screenplay and gorgeous musical score are why you should be watching Batman: Mask of the Phantasm.